ARTIST + RUN is pleased to announce an exhibition of a new series of works by Mr. Somyot Hananantasuk, on Saturday, November 11 at 18:00 which will be exhibiting until December 20, 2017. “Everybody has his own world unknown to others. In my work, I have my world in which I try to make things in it visible to my eyes and to feel it. This world has no limit. It has no boundary. It’s never-ending. I want to know what are in this world so I dig it until I found the treasures. It is like an archaeologist who digs for old antiques. He has the knowledge that if he goes to this area he might find something then makes it visible. That it is my work today. “- Somyot Hananantasuk. ‘Nowadays’ is the new exhibition by Somyot Hananantasuk – a Thai artist who has been living in Germany for more than 40 years. We collect all of the new abstract paintings he created during his return to Thailand in the past year. During his journey, his experiences and memories fuse together to form abstract and colorful themes that inspire viewers to confront with. They are very direct. They do not ask us to recall the past nor do they ask to imagine the future. There are only works in the present in which the artist is attentive and feeling for. Somyot Hananantasuk was born in Bangkok in 1949. He began his art studies at the Art School. Then he studied in the Faculty of Painting, Sculpture and Graphic Arts at Silpakorn University. Later on, he learned art with the famous artist – Jang Saetung. In 1972, Somyot received a scholarship from the German government to pursue a Master degree in fine arts. He studied at the painting department in KUNSTAKADEMIE in Munich and studied furthermore at KOENIGLICHE KUNSTAKADEMIE, Copenhagen Denmark. His works in the early stages, both in academic and also his independent works, were black and white paintings using pencil and pen drawing techniques, Chinese calligraphy brushes and ink on paper. The works took the forms of human organs as a medium to express his emotions. He expressed his tense feeling by emphasizing the surface of the skin to look like a creature that was ready to break out. During the year 1987, Somyot had the opportunity to visit various regions of Thailand. He was interested in local folk art in particular such as patterns on sarong fabrics, Khin fabrics and hill tribe clothes with unique shapes and colors. These are the foundation of Thai cultures and traditions. Somyot had taken inspiration from these local works as a way to create his works and made them more unique. His works have been developed into perfect abstract paintings. He compares his works as equivalent to the traveling into an unknown land. 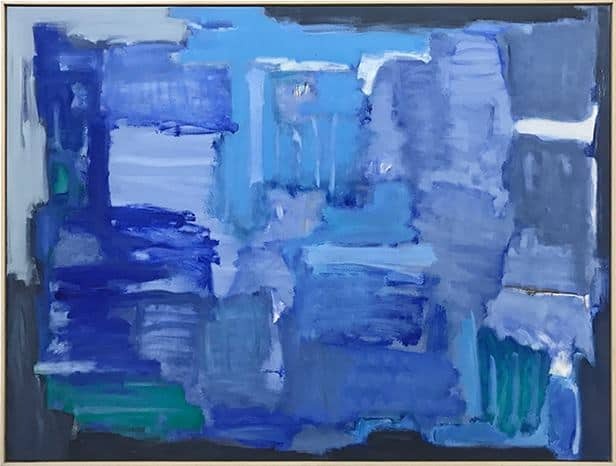 Starting by dropping or pouring colors on canvas, then he sets the rhythm of the spaces, the shapes and the surface to be consistent and contradictory at the same time. The creation of this kind of works does not come from any plans or pre-made sketches. He wants to feel free while painting and this requires a high range of awareness and concentration while working.